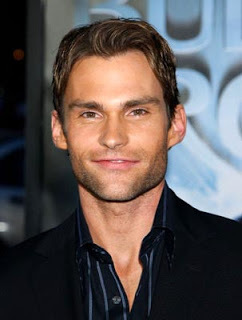 See the gallery for quotes by Seann William Scott. You can to use those 6 images of quotes as a desktop wallpapers. I went to college for about a year in California. I would watch 'The Dukes of Hazzard' on loop. At one point I had 30 televisions in my bedroom and I would watch it over and over. I'm a big people-watcher. I love it. But I feel bad about it, because I always get caught! I'm a much better singer than actor, which doesn't really say a whole lot. I'm still a big kid - I make mistakes all time. 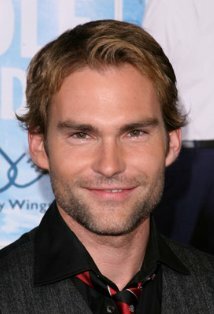 I'm still trying to figure myself out as an actor. I'm the youngest of seven kids. I've been doing comedies but I'm not a comedian. If I wasn't an actor and I watched my films, I could easily be like 'This guy's a clown,' you know? In high school I went on about three dates. In L.A. everyone is in the entertainment industry, so you're forced to think about work. 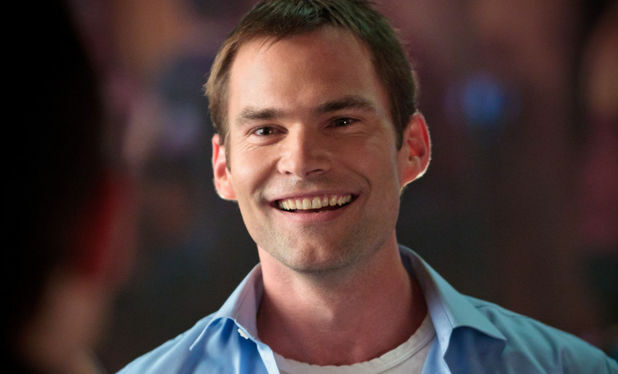 Much more quotes by Seann William Scott below the page. Maybe I'll just become a cartoon character because there's nothing left for me to do in an R-rated comedy. Most actors feel only one way. We're just grateful to have a job. My dad was diagnosed with cancer, so we ended up burying him a year to the day that he was diagnosed. There are a lot of movies I've done that come and go, and don't really establish a growing fan base. To do a sequel is so weird, you don't really think about it. What I love doing is taking my dog for runs. When I was in high school I was a super serious athlete. I wasn't fun at all. When I was maybe like, under 10 years old, I was kind of like a maniac. Working on the 'Ice Age' movies, I'm really proud to be in them. You have to have fear to take risks - and I want to at least try. At times it's been weird because for the first phase of my career, I've been really well-known for a character that I was so not like and a character I never anticipated doing. I don't know where the loyalty lies in baseball. You really don't have to protect each other much, unless there's like a bench-clearing brawl. In hockey, it's important that they look out for each other. I live right next to a grocery store and I don't know if it's the bachelor in me, but I just go in and shop for what I need for the day. I'm an idiot because I don't shop for the whole week. The check out clerks always crack jokes about the fact that I'm in there sometimes twice a day. I did this TV show, which was my first job ever. It wasn't a real acting part. It was like this promo for this sitcom and the main actress was meeting three different real people and then she was going to decide who was going to be on the episode. I don't want to get home from work and wonder if I could have done better if I didn't go out that night. What you're doing is going to go on the big screen and go down in history. I grew up in Minnesota and everyone is so nice there. It is like Fargo. Everyone's so chipper and you make friends just grocery shopping. We kill each other with kindness. I grew up, probably like a lot of people, on cartoons. And I never thought I would have the chance to be in an animated movie. It's good also to show the world my sweet side with them. I'm not sure anybody's ready to see me in a drama. And loving movies so much, I've seen a lot of comics try to make that transition too fast, and it can be detrimental. And I don't think I've had as much success as I need in the comedy genre to open up those opportunities. The surprising thing is that I was not funny in high school. I was always jealous of the funny kids because they always got the girls. I couldn't tell a joke to save my life. There are certain filmmakers I'd like to work with that I don't think would take a risk with me, because I could be distracting in their film. It'll take a couple films to prove to them that it's worth the risk. 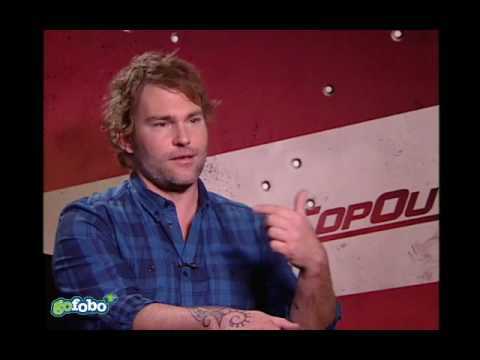 When 'American Pie' happened, I was so lucky to get that opportunity and I just tried to do a good job in that genre. But the films that inspired me as a kid were, like, Malcolm McDowall in 'A Clockwork Orange.' He was my hero. I always think everything has been the best part of my life. I consider myself to be a good guy so it's not hard for me to play that. I don't generally do movies that get good reviews. I don't know anything about this engagement stuff. I never thought I was going to get engaged. I don't really necessarily think I'm a funny guy, but I like the opportunity to take on something that I don't feel I'm the best at doing. I don't want to be known as a jerk forever. I find that when you see somebody in the tabloids all the time, you have no desire to see them in movies. I got my very last tattoo after my father died. I'm not getting anymore; otherwise I'll end up like Mike Tyson with a tattoo on my face. I grew up in Minnesota. I live in New York, where people don't tend to go up to actors as much. I love mockumentaries. When they're done right, they're really good. I think I would do a much better job if I had a chance to do things that were edgier than I get to do in comedies. 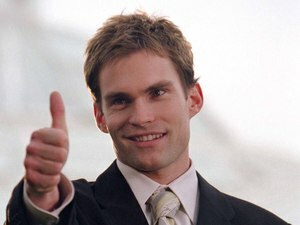 I think I've done every disgusting thing you can in a film. I try to make the best of the opportunities that have been given to me. I wanted to make people feel the same way I feel when I see a good movie. I was a loser in high school. I was a total athlete. I loved sports, but when I realized I wasn't going to be a professional athlete, I realized I wanted to be in movies.